There’s a wildfire burning out of control in Washoe County near US 395, 6 miles South of the intersection with Mount Rose Highway. 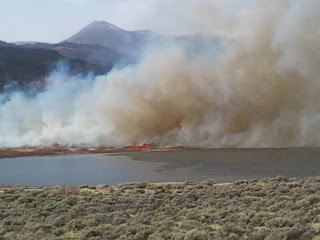 The fire is reminiscent of the November Pinehaven Fire which led to thousands of evacuations and several destroyed homes. 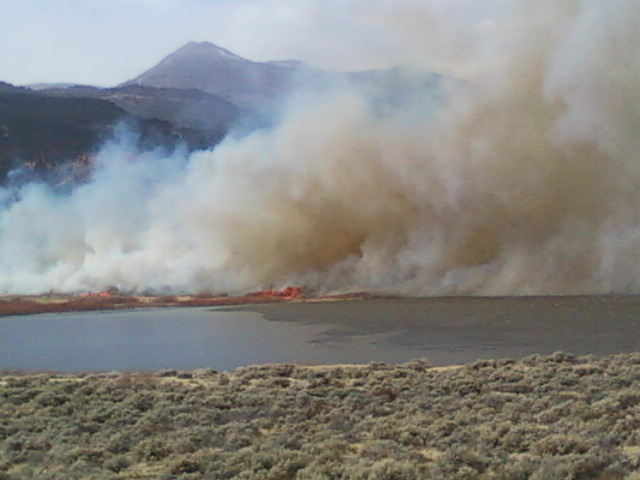 This fire, like the Pinehaven Fire is hampered by high winds and dry conditions. This evening’s lighter winds, accompanied by rain should help firefighters gain the upper hand. So far, the wildfire has burned several homes and blackened 3,000 acres. Areas under evacuation include Andrew Lane area, Callahan Ranch, Galena Forest Estates, North Eastlake area, Old Washoe City, Pleasant Valley, Rolling Hills Estates, and St. James Village. Evacuation information inside the 775 area code call 211. Outside the area call 775-337-5800. Washoe County has declared a state of emergency and will be seeking economic assistance from FEMA. Road closures include US 395 at Mount Rose Highway to Eastlake Blvd., Eastlake Blvd., and portions of Mount Rose Highway. There are reports of up to 10,000 people that have been evacuated. Several casinos have offered evacuees special rates. Harrah’s is offering $29 pet friendly rooms.